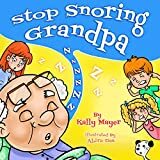 Many children may snore at some point in their lives, especially during bouts of colds or when their allergies are acting up. It’s often a passing phase, but how do parents know if it’s an issue requiring treatment? The answer often lies in what happens when a child isn’t sleeping, says pediatric sleep specialist Fauziya Hassan of C.S. Mott Children’s Hospital, part of the University of Michigan Health System. If they are irritable, aggressive, or cranky. If they “zone out” or daydream frequently throughout the day. If they are excessively sleepy during the day. If they are difficult to wake up in the morning, even when they had a significant amount of time to sleep. If they frequently wet the bed past age nine, or if they have not been wetting the bed and the problem suddenly reappears. If they are struggling in school or have a hard time paying attention. “It’s often that teachers are the first to raise red flags, as they notice a drop in grades or productivity,” Hassan says. If you decide it’s time to see a pediatrician, be prepared to report what behaviors you’ve observed. But it’s important to trust your judgment even if your child doesn’t fit these exact markers. “If you’re concerned with your child’s snoring or behavioral issues, don’t hesitate to speak with your child’s pediatrician,” says Hassan. The most common cause of habitual, problematic snoring is obstructive sleep apnea (OSA), a condition in which airflow is obstructed, causing nighttime awakenings or drops in oxygen levels. Roughly 1 to 4 percent of children have OSA, noted more so after age 3 and in most cases caused by enlarged tonsils and adenoids. Typically, a physical exam identifies the condition and a sleep study confirms it. Even more children have habitual snoring or mild sleep-disordered breathing. Enlarged tonsils and adenoids causing obstruction of the airway at night can adversely affect a child’s sleep and overall quality of life. Adenotonsillectomy (removal of the tonsils and adenoids) is a common treatment for both OSA and milder forms of sleep-disordered breathing. Although adenotonsillectomy is common, more research is needed to determine the effect it has on a child’s sleep, behavior, and overall quality of life. Often, surgery happens without a sleep study having taken place. There also isn’t much data to show just how effective surgery is for snoring and milder forms of sleep-disordered breathing, and whether delaying surgery may allow for other nonsurgical treatments to help first. As part of a nationwide, NIH-funded study, Hassan and Michigan Medicine colleagues Ronald Chervin and David Zopf are tackling these questions. The study is currently recruiting children with snoring or mild breathing problems during sleep who are considered candidates for surgery. The study will also assess whether there is improvement in other related health conditions such as asthma and allergies. The researchers are seeking children between the ages of 3 and 12 who have a sleep disorder and are possible candidates for adenotonsillectomy. Learn more about it here.